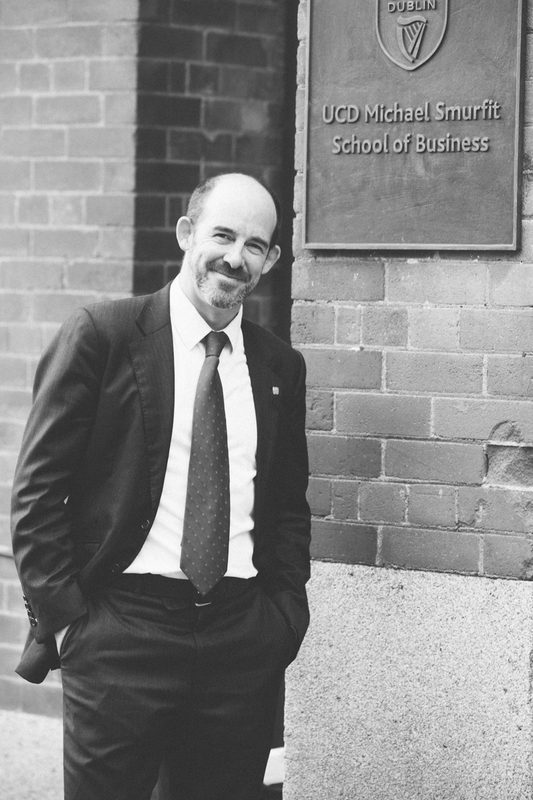 I have the privilege of teaching at a number of top business schools around the world. Last week I gave classes at Harvard and at MIT. This is a video from IEEM Business School in Montevideo, Uruguay where I spend a week each October teaching on their MBA and Executive Leadership programs. The video is a good short (90 seconds) description of what I want participants to learn through my Leadership Communications program. Amazing things happen right in front of us every day, but human beings have lost the capability to become inspired by the little things. Mariano uses magic to show us that everyone has the ability to cultivate awe and wonder from their daily lives. Mariano was born in Huesca, a small town in the North of Spain, and moved to Madrid when he was 18. He is a professional business person with a twinkle in his eye; his experience is in consulting, and his passion is in magic and the art of Illusion. Mariano’s capability of mixing those two world in his daily life is truly inspiring, and he takes the TEDxIESEBarcelona stage at IESE Business School in Barcelona, to describe the lens through which he views life. A good gardener creates the conditions for growth of a garden, but cannot force the flowers to grow in an exact way. The good gardener creates the conditions and accepts what arises. The bad gardener fights what arises. The bad gardener hacks and chops and fights against the natural growth of nature. The good gardener changes the conditions and different plant shapes and varieties arise. In each case the attitude of the gardener is “Interesting! I wouldn’t have expected that.” Creative indifference as a gardener is a deep curiosity, and an openness to delight in the million and one ways that nature can arise. I want to teach more as a gardener than as a sculptor. Up to now I often find that I am trying to remake a participant into my image of what she could be – I am metaphorically hacking off bits of stone and adding bits of paint. A good gardener allows the plant to grow in its own unique way. Nature is difference. Nature is no straight lines, no leaf exactly like any other leaf, no flower exactly like any other flower. I want to focus more on creating the conditions for growth in the classroom, during the breaks, during the lunches… that would allow the participants to grow in their own individual way – and have less fixed ideas about how each individual will use those conditions. I want to be willing to allow the person to become who he is to become, rather than my ideal of what he could be. These points come from my notes from listening to a lecture by Prof. Pat Gibbon of UCD Smurfit Business School in Dublin during the Executive Edge day in May 2014. Good strategy begins with a clear diagnosis (widely accepted) of the real current condition of the business. If there is nothing painful then this is strategy driven by internal politics, not strategy driven by a determination to be the best company, team that we can be. Good strategy clearly articulates the challenges (big potholes on our path). If there are no scary challenges, then it is not good strategy. There are dangers out there that can kill your business. If you are not vigilant, the bugs and the weeds will take over the garden. Good strategy covers “Ideology” – There is an answer to “who are we?” As people, as leaders? Michael O’Leary shows that “cheap” can win – but has to be lived by the full organisation. It is not enough to live values – to be a trusted organisation, a trusted leader, values must be both explicitly expressed and lived daily. Are these still lived? 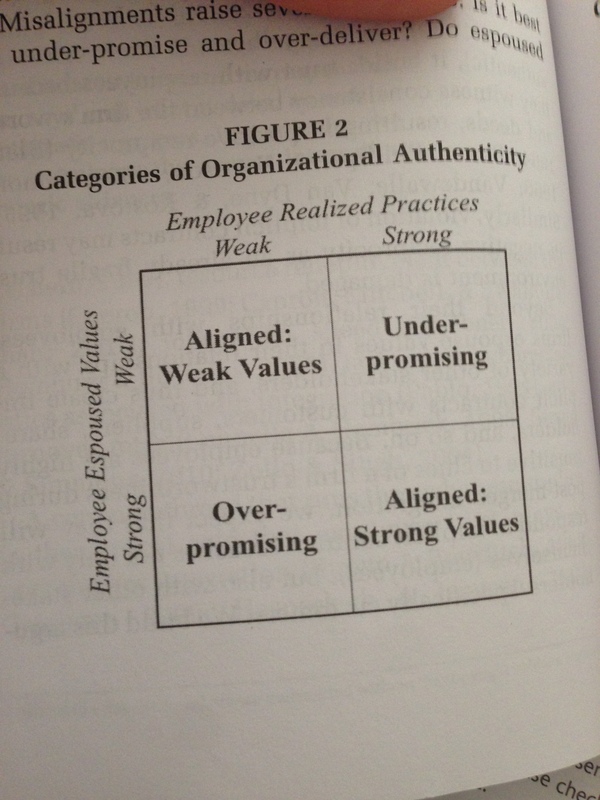 Aspirational values not being lived = loss of all trust and company becomes commodity. Image to the right comes from “Walking the Talk”: Under-promising is almost as dangerous as over-promising. Good strategy articulates the set of coherent daily, weekly, monthly actions that must be inculcated, measured and made habitual? What systems – budget, motivation, talent, metrics? Good strategy addresses innovation and change: How do we as an organisation cheaply explore ideas? How do we embrace “trying, failing & improving”? Is it career suicide to lead a failed product launch? If so, there will be no innovation. Good strategy understands sales. Neil Rackham tells us that today’s customers are polarizing around extremes of transaction oriented (“give me your price for this”) and trusted relationship (“help me think and I’ll pay you well”) – you cannot target both groups with the same approach. Transactional – push towards self service. Trusted – over-resource with senior experts; only chase projects with very high win probability (coming second is worse than not bidding). What else is important? What challenges do you face when you are tasked with defining strategy? What makes a Story worth listening to? What questions do you have for next year’s set of expert interviews? Nitin Nohria, Dean of Harvard Business School will be speaking at IESE Business School in Barcelona next Monday 13th. “It is my desire to inspire people of all ages and social demographics to think about leadership on a broad level, contemplate what it means to them and what individual impact they can have when it comes to leading,” Nitin Nohria. and the wisdom to tell the difference. Author: Unknown Monk 1100 A.D.
As the Harvard-IESE Committee celebrates its 50th Anniversary, IESE welcomes Harvard Business School Dean, Nitin Nohria, to speak to alumni at an exclusive session on January 13, 2014. Entitled, “Innovative Leadership: Learning from Asian Companies,” the session will be held at IESE’s Barcelona campus and organized by the Alumni Association. Registration is here.